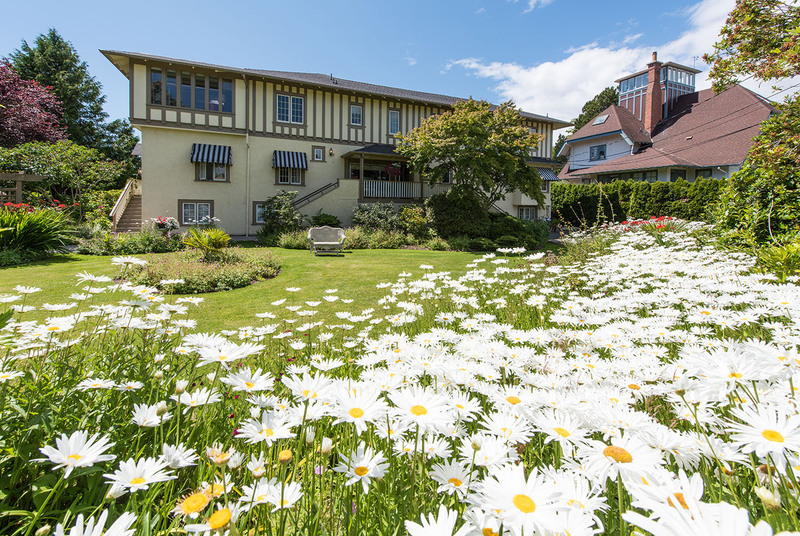 The Oak Bay Guest House is a quietly elegant lodging in Victoria with nine Guest Rooms and two Suites. Originally a single family dwelling, the house was enlarged in 1920 and has been welcoming generations of travelers since 1922. On July 25, 1912, Mr. H.C. Laundy took out a building permit at a cost of $2.00, for an 8 room dwelling at 1052 Newport Avenue, to cost approximately $3,500. This house was built on spec. He sold it, but it came back on his hands within a short time, and he then rented it. He was an accountant in the old Bank of British Columbia, at the corner of Government and Fort Street, now the main branch of the Canadian Imperial Bank of Commerce. He worked in this bank at the same time as Robert Service, whose writings on the Yukon were to bring him later fame. Laundy was the son-in-law of Bishop Cridge of the Chruch of our Lord, and acted as choirmaster and lay preacher in the Church. He was 80 years of age when he became a minister, and given the title of Rev., and carried on in the Church of Our Lord until he was 93 or 94. He did considerable building in this part of Oak Bay – his sons working with him – Building several houses on Deal Street, and their own home at 1290 Beach Drive. 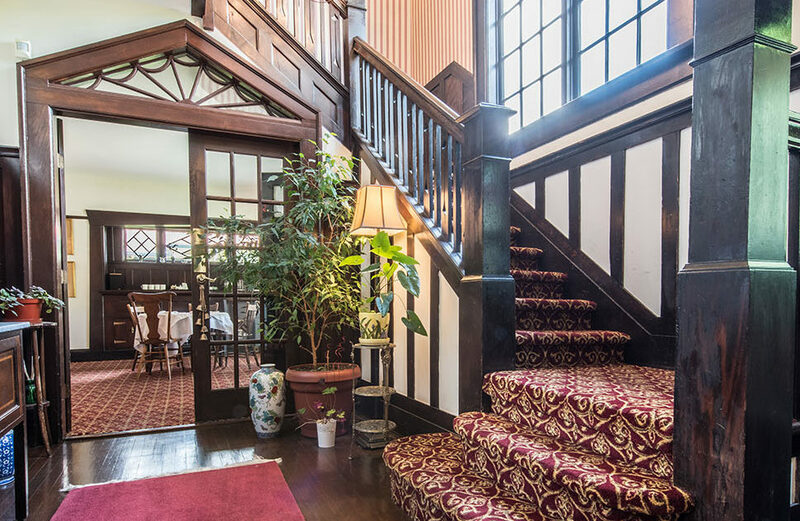 In 1922 the house was sold to Mrs. Annie Clark, the mother of Cecil Clark, and she ran it as the Newport Guest House. She also bought the house next door, 1064 Newport Avenue, which she made into an Annex of the Guest House. This had been built in 1913 as a Single Family Residence. According to our records, this property was in the name of the Official Administrator in May, 1939 and was then purchased by Captain Robert Clayton. In 1939, a man named Mr. W. Scott, who called himself the lighthouse philosopher, bought the guest house from Mrs. Clark. Mr. Scott was in China, and realizing that a war was coming, he decided to buy property in Victoria, to which he could send his wife and family. Mr. Harry Davies of Crease &amp; Company had his full power of attorney and acted on his behalf. Just before Pearl Harbor, in December 1941, he sent his wife and family to Victoria, and Mrs. Scott, with the assistance of a Manager, ran the Guest House. Mr. Scott was a prisoner of War in the Orient until the end of the war. When they first took over the Guest House, the cost for room and board in it was $32.50 per month. By the end of 1945, the highest rate was $52.50 for room and board. Mr. Scott reports that in the last ten years the increases in cost and operation have gone up 400% but the guest rate has only been increased 147%. There were 14 guests in the main house, and 9 in the Annex. In 1978, Bryan Savage and his family purchased the guest house and the building next door from Bill Scott. It was operated as a seniors boarding house until around 1981. The Savage family hosted travelers again until they sold the property in 1989.